Sega's hard to find platformer will appear on iOS and Android this December, and we couldn't be happier. Being a gamer in the early 90s was quite thrilling, as companies were experimenting with polygons to create (at the time) vibrant 3D worlds, chief among them Sega. The highly successful publisher, still very much in the console business, decided to jump ahead of rival Nintendo with the Sega CD, a CD-ROM attachment for the Genesis that delivered higher quality audio, 3D and plenty of dreadful full-motion video (FMV) games like Sewer Shark and Slam City with Scottie Pippen. If you researched Sega's downfall, the one decision that punted it from the hardware business, this was it. 32X, Saturn and Dreamcast all fell victim to the cracked foundation built with Sega CD. At least on the positive side, players had Sonic CD to enjoy. When Sega CD was first announced, it was a foregone conclusion that Sonic would make an appearance, and Sega didn't disappoint. Remember, this game debuted in 1993, back when the blue hedgehog could do no wrong, and his games routinely received perfect scores. Yes, perfect scores for a Sonic game. Imagine that. 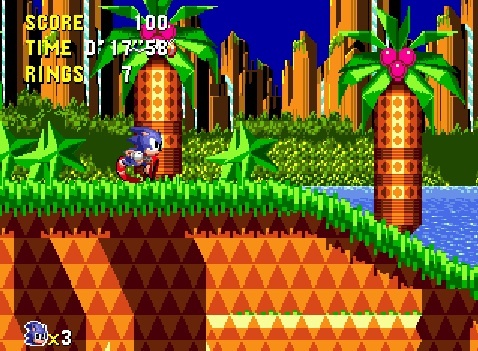 With this in mind, Sonic CD's a masterpiece of 2D platforming, a wonderful romp through imaginative worlds teeming with enemies, secrets and the usual Sonic conventions, such as loops and jump pads, peppered with a variety of little touches, like the way the blue blur spins 360 degrees while in the air. Forget about the fact that it marked the debut of Metal Sonic and that psycho stalker, Amy Rose. No, Sonic CD will always have a special place in people's hearts for the fully animated intro, CD quality audio and a cool time switching mechanic that allows players to visit the past and future, both of which offer unique spins on the present, thus upping the value. 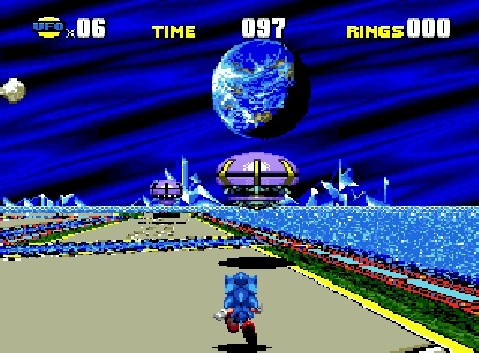 This also marked one of (if not the first) time we viewed Sonic in the third dimension, as he wandered through Super Nintendo inspired Mode-7 areas attacking UFO like objects. This had to be the groundwork for Sonic Adventure on Dreamcast. It was quite impressive to behold. What's more, the levels felt significantly longer than the ones from the Genesis titles, thanks in large part to the aforementioned time traveling. Sega CD was, for the most part, a huge waste of money, yet you could make a case for owning one just to play this game. It is (or was) that good. Sadly, Sonic CD fell into obscurity following Sega CD's demise, and has remained one of the rarer Sonic games, despite appearing on PC in 1996 and as part of the rare 2005 compilation, Sonic Gems Collection for PlayStation 2 and GameCube. Thankfully, Sega chose to open the vault and will re-release this gem across multiple platforms, including iOS and Android, in December. Not sure if the touch controls will hold up, but it should be great having Sonic CD available for several devices (including Xbox 360 and PS3). The best part? We can leave the dusty Sega CD where it belongs. In a box. Want more info? This review sums up the game nicely.